This summer, record setting temperatures have us all melting, and turning to the closest body of water for relief. 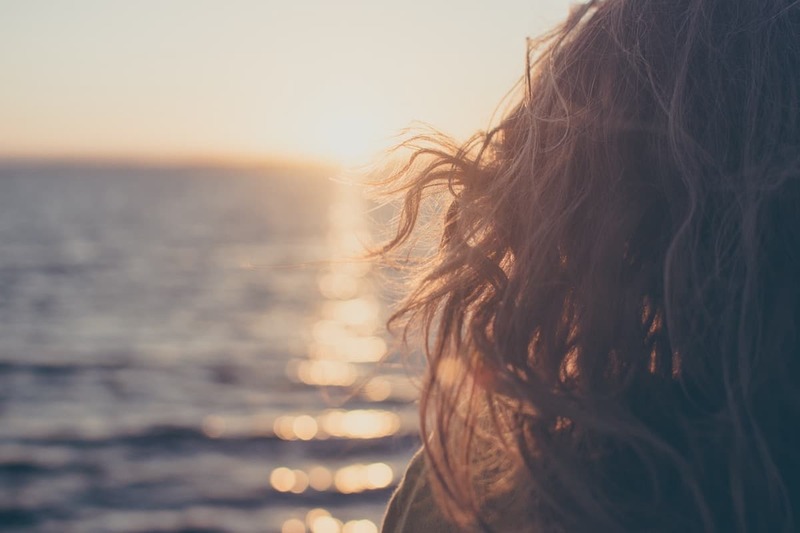 Whether you’re keeping it coastal, lounging lakeside, or dipping in the pool, beating the heat can take a real toll on your hair, skin, and overall summer vibe. To stay healthy and happy regardless of heat and humidity, we’ve come up with 5 non-negotiable summer beauty essentials you’ll find in every summer goddess’s bag. We know sun protection is the key to youthful skin, but recently there has been some backlash against sunscreen. Most chemically based sunscreens contain one or more of the following ingredients: oxybenzone, avobenzone, octisalate, octocrylene, homosalate and octinoxate. While the jury is still out on how these chemicals affect the body and their absorption into the skin, oxybenzone and octinoxate are thought to be leading causes for the destruction of marine and reef ecosystems. 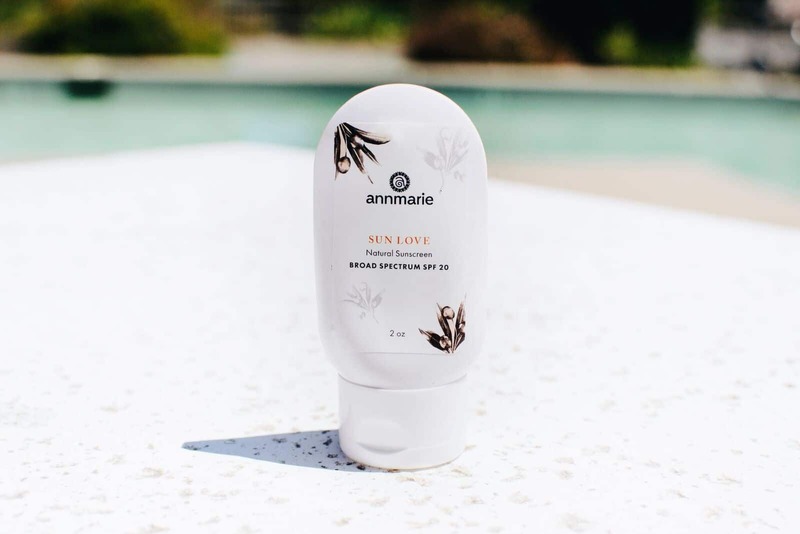 Have no fear and save the planet too—there are other sunscreens that will protect you from the sun while lessening your environmental impacts and health hazards. Mineral sunscreens made with zinc oxide are a natural way to steer clear of a sunburn. The zinc oxide mineral sits on top of your skin (with no absorption!) and is easier on more sensitive skin types. The heat can make even the most energetic go-getters lethargic and slow. Instead of pounding coffee all day, I like to use an essential oil blend that’s crafted to energize, uplift, and awaken you. Whenever I’m feeling stuck, in a rut, or just need a little pick me up, I dab a few drops of Vibrance Pure Essential Oil on the inside of my wrist and take a nice big whiff. 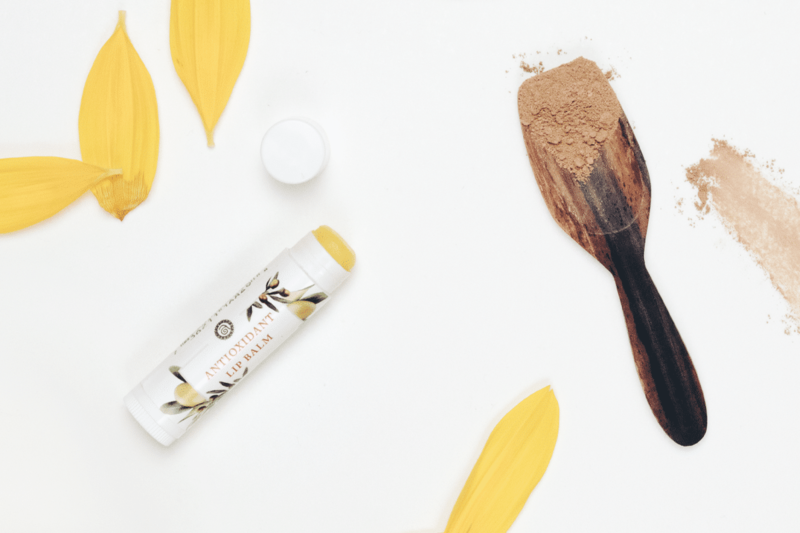 This blend is also a perfect deodorant substitute. If you’re anything like me, a day in the sun can get a little stinky, but I can’t bring myself to use store bought deodorants that contain chemicals like butylparaben, ethylparaben, isobutylparaben, methylparaben, and propylparaben. These chemicals are thought to disrupt your hormones and endocrine system. 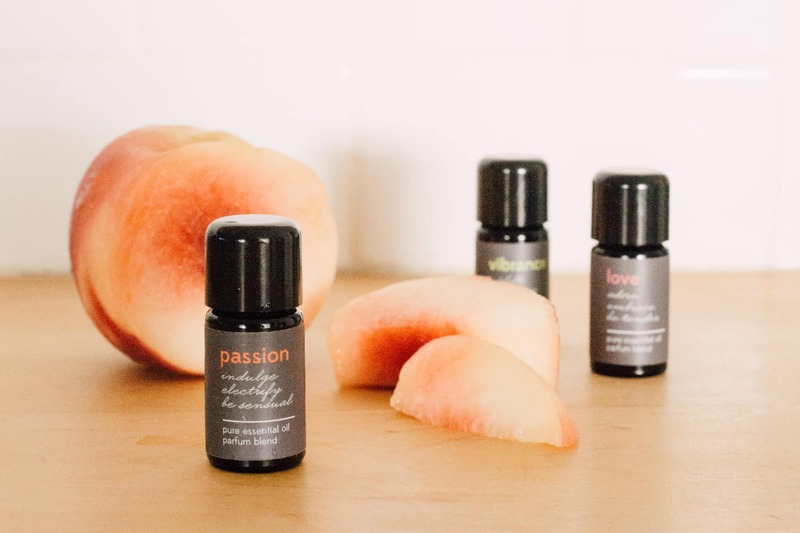 My pocket-sized essential oils are the saving grace. Whenever I work up a sweat sunbathing, I can discreetly dab a couple drops of the Vibrance blend under my arms and it immediately gives me a subtly delightful essence of summer…the good, flowery kind. *Note that if you’re wearing tight clothing, the essential oil blend may leave marks. I like to save this when I’m poolside in a bikini or wearing a nice flowy top or dress. Summer can be the harshest on our hair. Everyday, we’re battling chlorine, salt-water, humidity, dry static heat, and excessive sunlight. That’s why I take my leave-in hair treatment with me at all times. Leave-in hair treatments are easy to make at home, with the best formula containing an aloe vera base (although many use coconut, moroccan, avocado, or pretty much any oil). The anti-inflammatory properties of aloe vera can help soothe scalp irritation and restore hydration to cope with summer dryness. The leave-in treatment will also hold in nutrients and moisture to keep your locks shiny and bouncy. After a dip in the ocean or on an extra humid day, I spray the ends of my hair to prevent damaging and work it up to the roots. You want to avoid spraying directly on your scalp to make sure your hair looks healthy not greasy. In the past, I always had dry lips during the summer, no matter how much water I drank. I thought it just came with the season. Recently, I learned this was not the case—the trick is in choosing the right chapstick. Often times, the ones that feel like they’re working miracles are actually making things worse. I used to choose the really velvety lip balms or chapsticks with menthol that give you a cooling feeling of relief, but came to find that my favorite velvet chapstick contains alcohol to intentionally dry out your lips and create a dependance on the product. And the minty balms are generally more focused on initial relief and masking the problem instead of healing your sweet, sweet lips. So, the first step is finding chapstick with all-natural ingredients. The next is making sure it has SPF sun protection minerals. Most people ignore their lips when it comes to sun protection, but our lips burn, age, and can get skin cancer just like the rest of our skin. Zinc and titanium are safe options to look for in SPF sunscreen. Just like the sunscreen you apply to your body, you want to steer clear of chemicals. I have freckles all over my face that come out especially in the summer. I found that after switching to a chapstick with SPF the freckles on my lips disappeared. And while I love what my mom always called my “little sun-kisses,” I realized I was not giving my lips the sun care they deserved. If you haven’t heard about tubing mascara, I’m about to change your life—you’re welcome. For years, women’s best option for maintaining our makeup during beach days/ pool lounging/ lake swimming/ aggressive water balloon fights was waterproof mascara. And what a disappointment it was. Not only does most waterproof mascara either run or clump into spiderwebs, most of the time the first ingredient is an agent that dries out your eyelashes. If you want long, luscious hair, you wouldn’t use a product that dehydrates it, so why would you do that to your eyelashes? Not to mention the struggle of taking off your waterproof mascara at the end of the day. The excessive rubbing and irritation to your eyelids can cause you to lose lashes—once again, not what you want when you’re trying to grow a stellar set of your own. We now have an alternative—the tubing mascara. Traditional mascara paints your lashes with pigment, while tubing mascara coats your lashes in a tube of polymers, kind of like armor. You can buy waterproof tubing mascara, but I find that it comes off so easy in the water there’s almost no need for waterproof. I just jump out of the pool and apply a new coat—no smudging, running, or racoon eye clean-up. What summer beauty essentials are in your bag? Share with us in the comments! I’ve never heard of tubing mascara. I always have to use waterproof mascara because as a professional dancer I sweat and need to avoid raccoon eyes. Do you think this would work for me? Can you reccomend the best natural one to try?